Two students at West Nottinghamshire College are set to put their vocational talents to the ultimate test at the UK’s premier skills competition. Holistic therapy student Deanna Pitacco, 35, hopes to be crowned the country’s top therapist when she competes in the aromatherapy competition at the Skills Show – the UK’s biggest skills and careers event. Meanwhile, 17-year-old IT student George Morris is aiming to secure top spot in the Microsoft Network Administrator competition at the same event, which takes place between 14 and 16 November at the NEC Birmingham. It comes after they finished first and second respectively in their regional heats earlier this year. Working on a real-life model, Deanna, from South Normanton, will carry out a full consultation in order to formulate a treatment plan, create two blends of oils for a client’s condition, deliver a full aromatherapy massage treatment and provide her model with after-care advice. 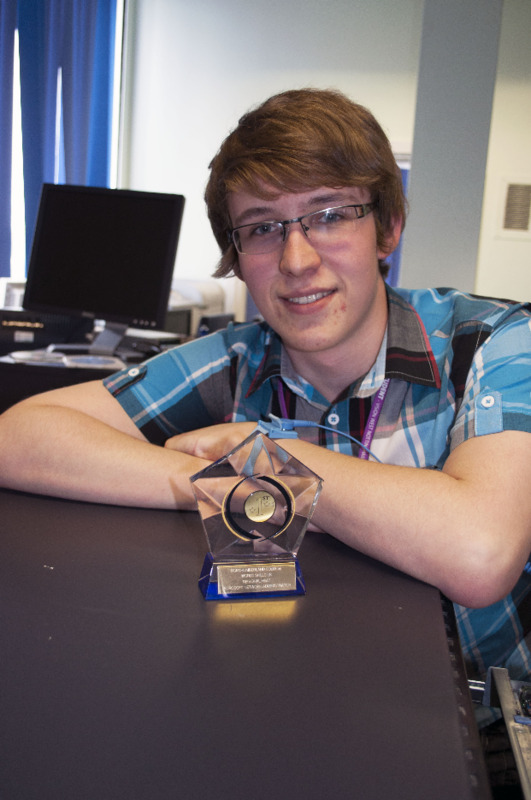 Church Warsop resident George, a student on the BTEC Level 3 Extended Diploma in IT (Networking and System Support), will be challenged to develop a virtual network, configure user accounts and create security policies at the show. Deputy principal Patricia Harman said: “It’s an incredible achievement to have two of our students reach the finals of the Skills Show and their tutors and peers are very optimistic that their talents will achieve them further success. Up to 75,000 people, including primary and secondary school pupils, Further Education students and adult learners, are expected to attend the Skills Show, which will cover an area equiv¬alent to the size of seven football pitches. The event will also see staff from the college and its subsidiary companies Vision Apprentices and Vision Workforce Skills offering advice and information about training opportunities available while promoting their range of apprenticeship vacancies across the country. Visitors will also be able to take part in interactive demonstrations including painting and decorating effects on easels, a PC speed contest where people are challenged to take a computer apart and an activity to create stop-start animation. The Skills Show is a unique annual celebration that inspires people with exciting opportunities in further education, skills and Apprenticeships. It is the culmination of many WorldSkills UK skills competitions, awards and activities. It provides a platform for the best of the nation’s young talent to perform, as well as providing opportunities for visitors to have a go at new skills, get careers advice and access Apprenticeships or real job opportunities from employers. The show is premier sponsored by City & Guilds, with support and funding from The Skills Funding Agency, European Social Fund and the National Apprenticeship Service.